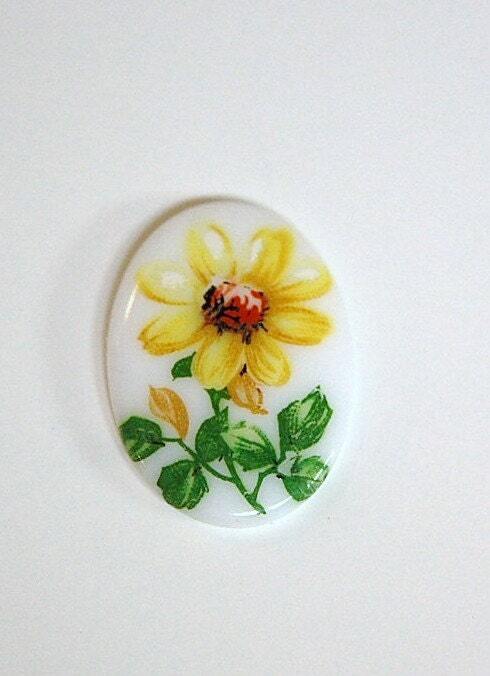 This is a vintage glass cabochon that was made in Germany. It features a yellow flower on a white base. This measures 25mm x 18mm. You will receive 1 piece. In love with all the vintage beads I purchased. Quick delivery. Packed well. Very fast and friendly service! Thanks so much!